Shane was my sponsor dog too. 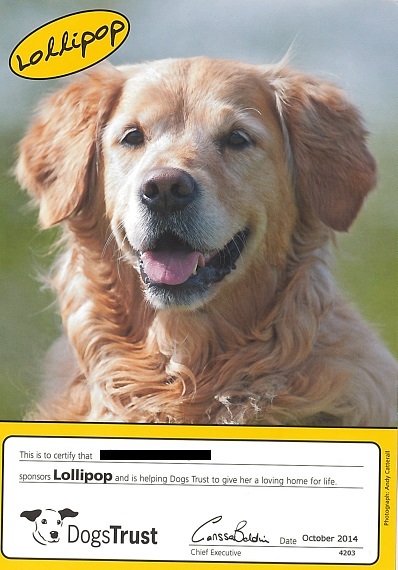 I didn’t know he had passed away until I received my yearly Christmas card from Lollipop, rather than the usual Shane. 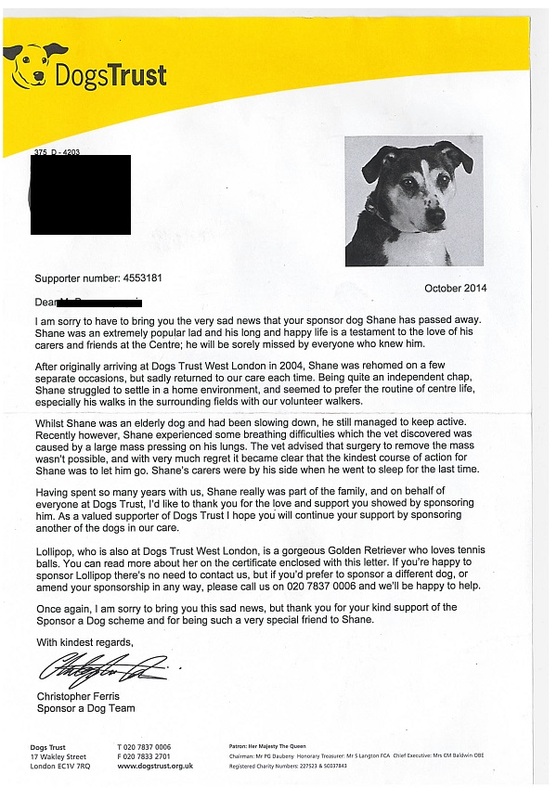 I suspected something had happened to Shane and contacted Dogs Trust to find out. They sent out the letter to me in October, but my letter must have got lost in the post. RIP Shane! Sad times Triona… but isn’t Lollipop just lovely?